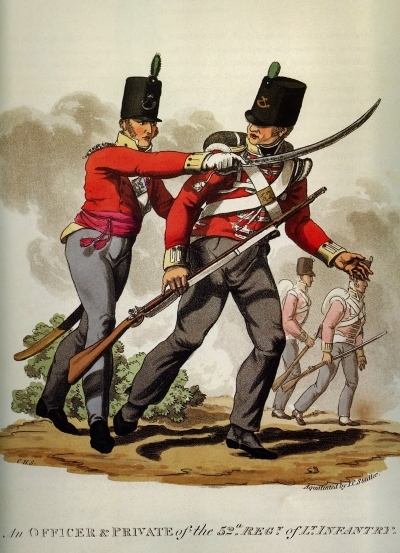 One tends to think of the greatest hazards faced by British troops during the almost two decades of the Revolutionary and Napoleonic Wars with France as being wounding or death on the battlefield, or – an even greater cause of loss – disease in the camp. Given the world-wide nature of the conflicts however transport of troops by sea was also a significant danger, and a typical example of this was when the troopship Aeneas was lost in 1805 off the south-western tip of Newfoundland. The Aeneas was part of a larger convoy tasked with transfer of troops from Britain to join the garrison at Quebec. She herself had 347 persons on board, including soldiers belonging to the 100th Regiment of Foot, some of its officers and a number of wives and children. The convoy set out from Falmouth on 29th August with the expectation of reaching Canada in little over a month. The reality was to be far worse – severe weather was encountered over much of the way and landfall was to prove three weeks later than expected. The delay resulted in food and water supplies being exhausted and outbreaks of infectious diseases on the closely packed – and battened down – ships. The conditions must have been horrendous. The convoy appears to have been dispersed by the story weather and individual ships began to arrive separately at the entrance of the Gulf of St. Lawrence in the third and fourth weeks of October. One of the transports, the Two Friends, was wrecked off the south coast of Cape Breton Island on the 22nd October. 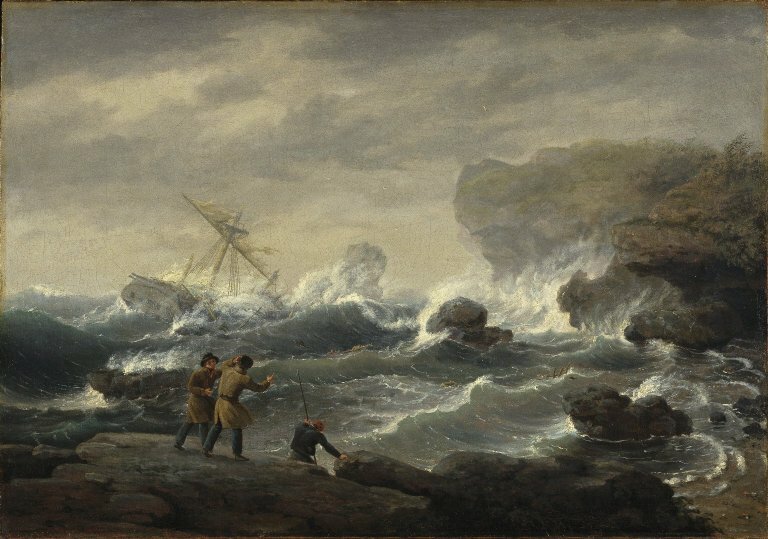 Early the following morning, in darkness, some hundred and fifty miles to the north, close to the Isle aux Morts, off the south-western tip of Newfoundland, the Aeneas struck a submerged rock. 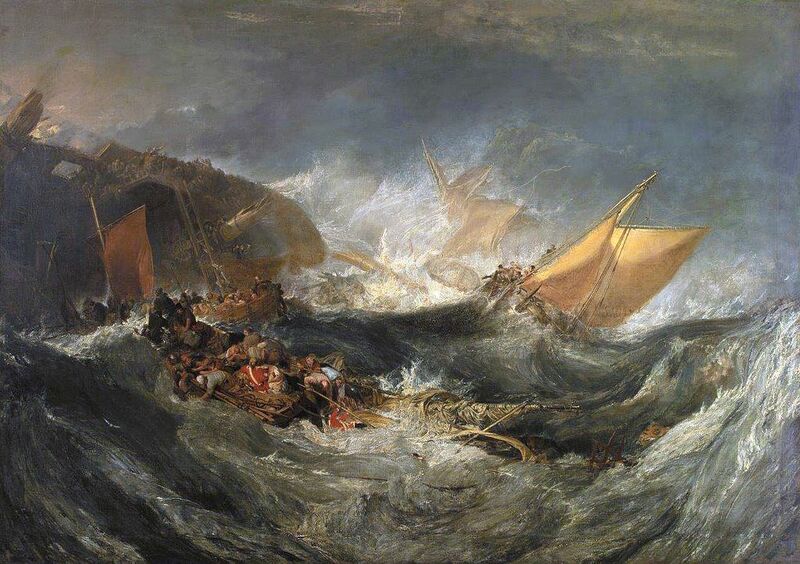 The storm was violent and within minutes of striking, as alarmed passengers crowded up on deck, and with mothers and children clinging to fathers, a massive wave rolled over the vessel and swept away what was estimated to be at least 250 people. Pounded down upon the rock, which smashed up through the decks, the Aeneas broke up. Only thirty-five survivors, presumably clinging to floating wreckage, managed to reach a small island a quarter mile away. A Major Bertram of the 100th, whose arm was broken, was supported as long as possible by a ship’s boy who, exhausted, had finally to let him go. The major was not to be among the survivors. Two young officers, a Lieutenant Dawson and an Ensign Faulkner were among the thirty-five survivors, of whom seven were sailors, and the remainder soldiers. The island was about a mile from the coast of what Faulkner correctly surmised to be Newfoundland. The day and night that followed must have been dreadful because of the wet, cold and lack of food or water. Four more were to die in this time, including the heroic ship’s boy. Another, who had both his legs broken, was missing, crawled away to hide himself from his comrades so that he might not be an encumbrance – an act of heroism comparable to that of Captain Oates of the Scott Expedition in 1912. (This man was later found alive but his feet were lost to frostbite. He was however to survive and afterwards reach Quebec). A small raft was constructed from wreckage – as so often in such cases, one is amazed by the resourcefulness involved – and it carried the thirty who remained to the mainland. Three who were unable to walk were left behind and the others set out eastwards along the coast. By the end of the first day Lieutenant Dawson was incapable of keeping up and two soldiers stayed back to care for him. These three trailed on behind the main party, subsisting only on berries. Dawson weakened further and, when too feeble to walk, the soldiers carried him. An attempt to get him across a river failed and he was laid down on the bank. He entreated the soldiers to leave him, but they remained with him faithfully until he died, promising to carry news of his death to his father. The incident is a moving example of how warm the relations could be between officers and men in an era when discipline was often brutal. These two soldiers staggered on for another twelve days, in snow for the last two, before they were found – their overall trek lasted twenty-six days since getting ashore – and it appeared that they had essentially gone around in circles in wooded country and had ended up close to where they had set out from. Even at this last extremity both men were lucky to survive. A settler, out with a hunting party glimpsed them from a distance and took them for deer. He concealed himself behind a tree as they approached and was ready to shoot until his dog ran out, barking, to greet them. Putting his own moccasins on the feet of one of them, he manged to get them back twelve miles to his hunting cabin where four other hunters came out to meet them. These rough men treated the two soldiers with great kindness and, learning about the other survivors, set out in search of them. They found three only – the man remaining on the island with broken legs and two of the three who had been left at the landing place as too weak to walk. Of those who had pressed on with Faulkner’s party just two were found alive – and only just – some ninety miles away. Of the 347 on board Aeneas only these seven survived. Their ordeal had been as bad as any they might have encountered on the battlefield – and they were the lucky ones.